With a name like Contemporary Log Living you may guess that we love everything to do with contemporary design. 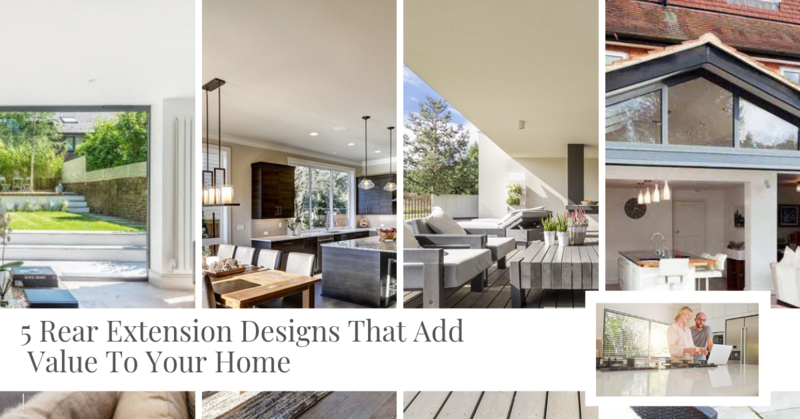 Whether it’s contemporary home designs, contemporary interior design or contemporary granny annexe and mobile home designs, we’re constantly looking for innovative floor plans and designs to inspire the growing number of UK householders looking to downsize without compromise, free up equity and help members of their family get on the UK property ladder. 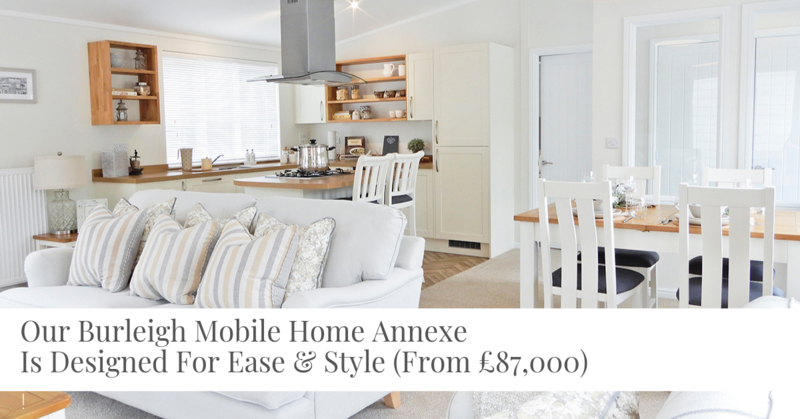 We’ve always been involved with what we like to call the “alternative property ladder” in the UK and have provided some innovative designs ourselves within the Contemporary Granny Annexe market. 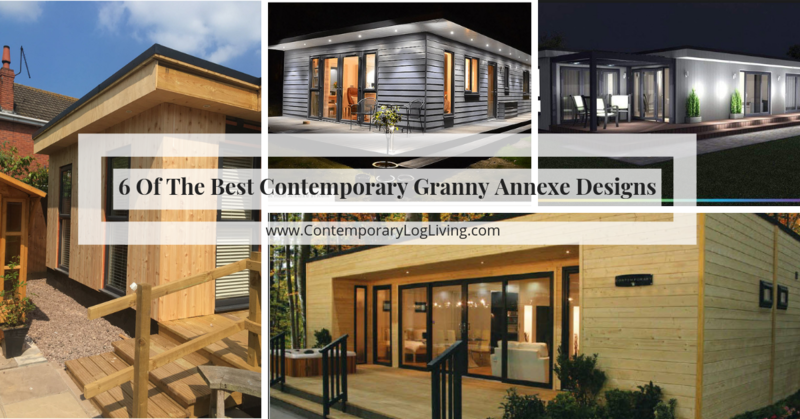 So in this week’s feature article we’ve selected 6 of the very best Contemporary Granny Annexe designs we’ve found that demonstrate how far annexe and studio designs have come in the last couple of years and you will see for yourself why Contemporary Granny Annexes are so popular. *Please note that for a residential annexe, permission from your Local Planning Authority is always necessary. 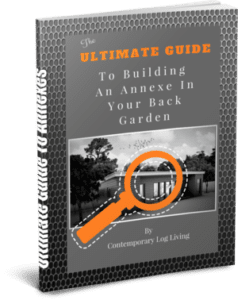 This is a service we offer via a dedicated Annexe Planning Consultant. When we were exhibiting at the Home Building & Renovation show at the NEC in Birmingham a few years ago we were working with a company that created this brilliant contemporary mobile home which at the time turned a rather "twee" mobile home industry inside out by using the width of the building rather than the length to create a stunning contemporary mobile home or contemporary granny annexe design. This image had people stopping in their tracks at the show due to it's stunning design. It's also a sad reminder of how innovative home design is around Europe and the rest of the world compared to most of our UK houses. But since then, we've seen a lot of great Contemporary Mobile Homes, granny annexes and Studios showing up proving what can be done in the UK right in our own back gardens. 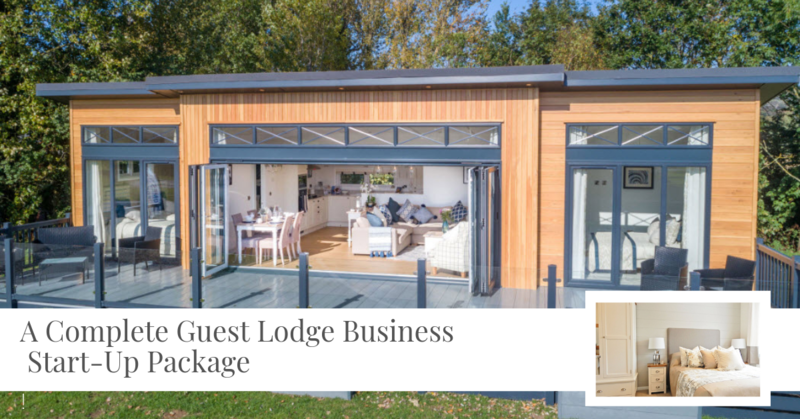 The Contemporary Log Living CEDAR LODGE is a brilliant one bedroom annexe designed by our customer for his daughter who was facing University digs, travelling and student loan debt versus an annexe that would allow her to travel to & from Uni whilst venturing into independence at the same time. It was an incredibly smart investment that will undoubtedly repay itself over and over again. To view more about this Contemporary Granny Annexe, here's how Cedar Lodge became a stylish apartment in the garden. 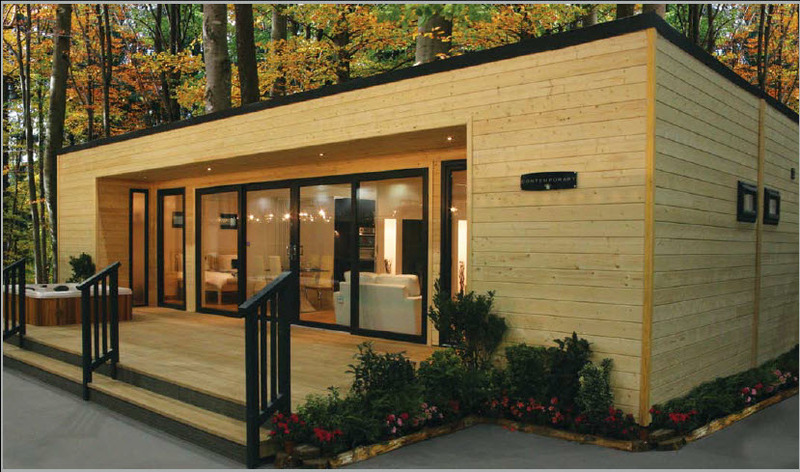 Launched at Grand Design Live in London in 2017 the iHUS Contemporary has an impressive floor plan plus an array of Option Packs available that include a Tesla Battery Solar Power option that makes this annexe potentially very eco-friendly and economical to run. 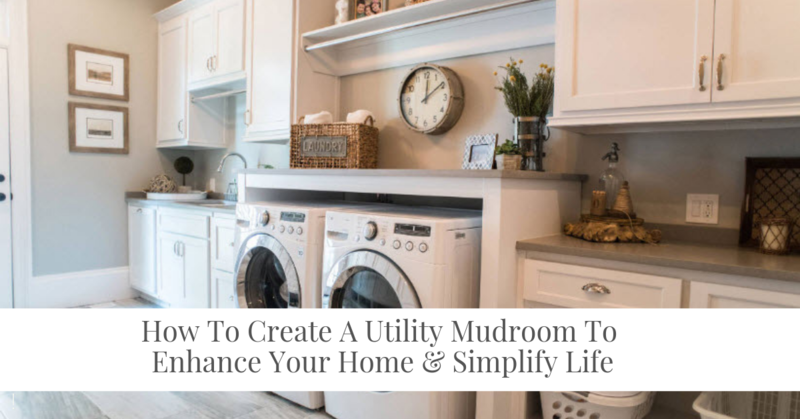 It may even pay for itself over time if you add the Eco+ package. 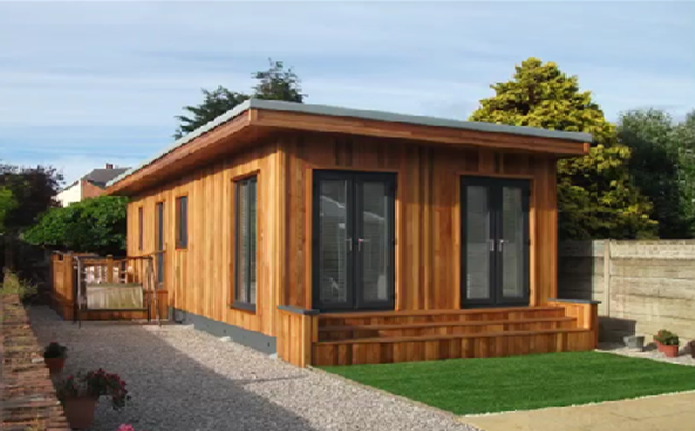 With a starting price of around £ 120,000 for the one bedroom Harewood Contemporary Granny Annexe (without the Solar Power option) it is one of the top end Contemporary Grannay Annexe designs on the market. 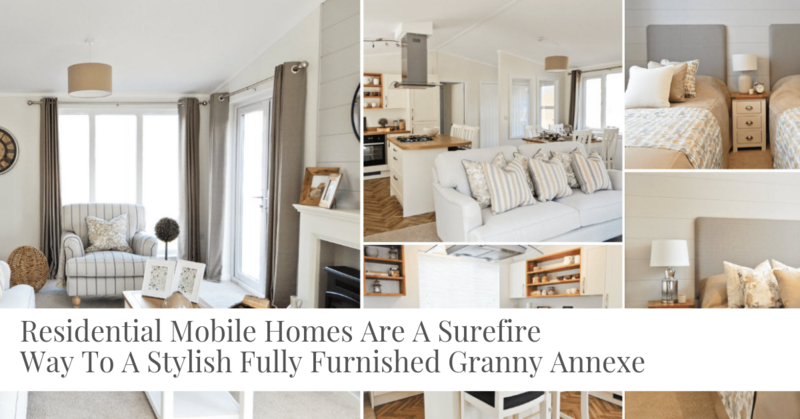 iHUS (despite the name) are a British company who manufacture granny annexes from their factory base in Doncaster and are considered one of UK's premier granny annexe companies. We've also had the great pleasure of working with them in recent years. 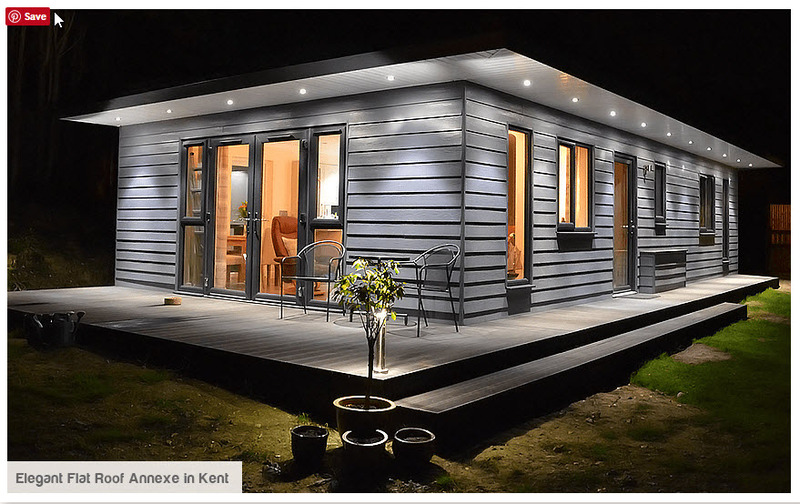 An absolutely stunning example of a beautifully designed contemporary granny annexe in Kent from In.It.Studios. 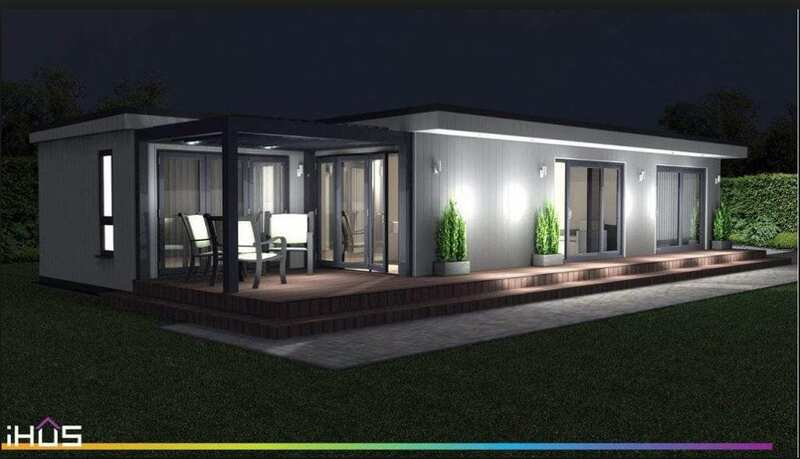 What makes this so attractive is it's simple contemporary design (inside and out), the floor to ceiling windows and bi-fold doors and to finish off the contemporary look it's the canopy roof with down lights that steals the show when the sun goes down. 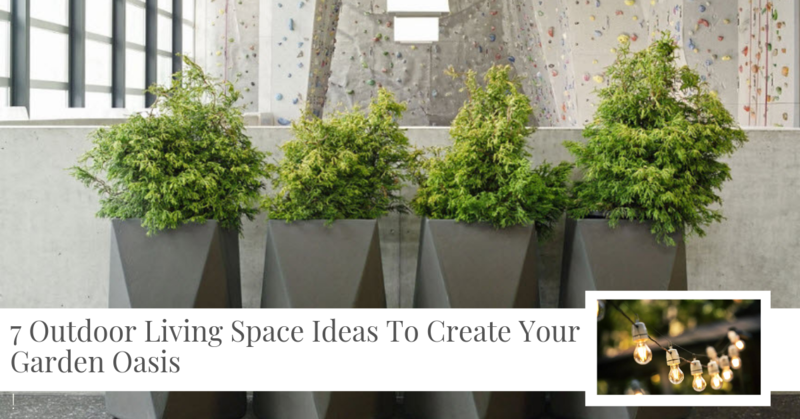 Some studios (under 2.5 metres high) can be built without the need for Planning Permission if the height is restricted. They are then classed as Permitted Development (although other factors may apply). If annexes do require the relevant permissions, most companies offer this service on your behalf. We loved working on this lovely Contemporary Granny Annexe in Shropshire which we featured in a recent case study which you can read by clicking here. 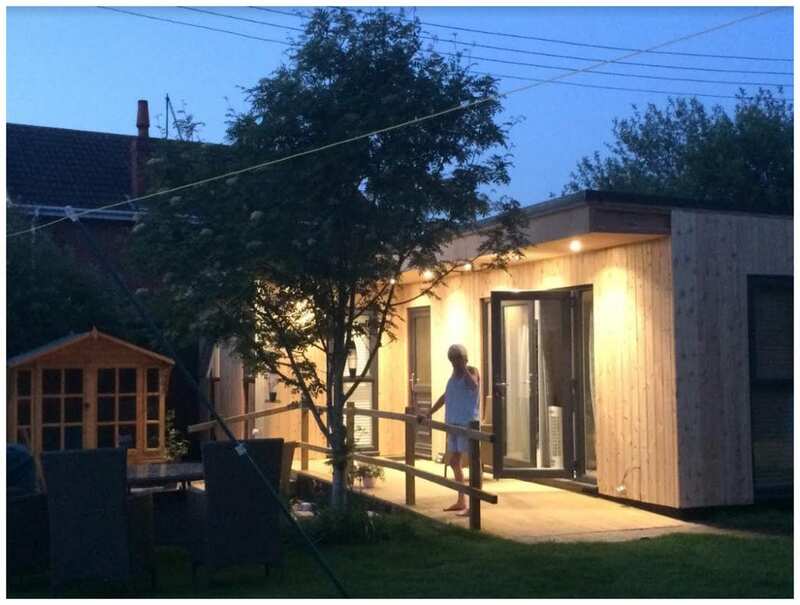 As you can see with all the most popular Contemporary Granny Annexe designs featured here the overhanging front down lit porch is a wow factor that works beautifully within any contemporary granny annexe design. 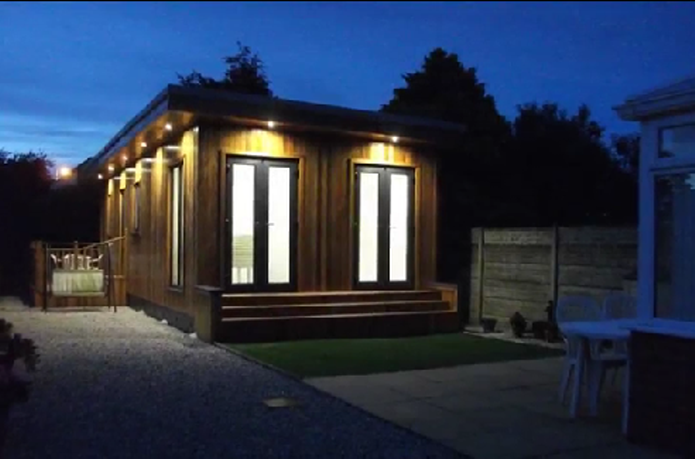 To see more about this annexe, we compiled this short video. One of the most popular annexe designs from iHUS Projects Ltd and one that was recently featured on the BBC's Holding Back the Years TV show. This much loved Contemporary Granny Annexe design is lucky enough to be built a garden large enough to accommodate that stunning overhang porch feature all the way around this two-bedroom annexe, in Chatham in Kent. This is the walk-through from iHUS of this stunning Contemporary Granny Annexe. Contemporary Granny Annexe designs tend to flat (EDPM) roof designs, with floor to ceiling windows, bi-fold doors and an attractive down-lit overhanging porch area. 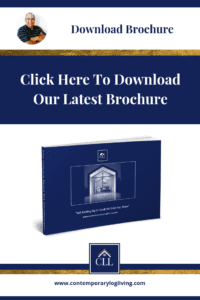 Residential annexes will always require permission from your Local Planning Authority whether it's a standard Householder Planning Application or a Certificate of Lawful Development. Most companies (including us) will happily apply for the relevant permission on your behalf. 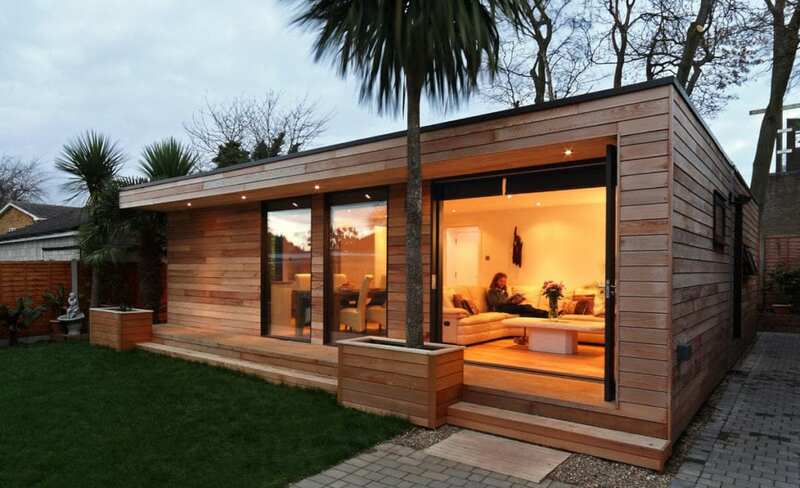 As with most annexe floor plans and designs, the final cost of your project will be determined by the final specification, size, internal and external finishes and external cladding choice. Contemporary Granny Annexes may be favoured by some LPA's (Local Planning Authorities) as their design is sometimes taken into consideration. 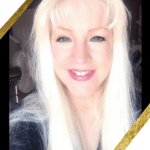 G’day Anthony – loving what you do in OZ – have a great day!